You may be surprised what constitutes a crisis in the Linux community. Several years ago, the creation of the systemd init system aggravated a number of developers and users. Most Linux-based operating systems adopted systemd, but there are a few that have chosen to chart a different course. For all the contention, can you even tell the difference between a version of Linux that embraces systemd and one that doesn’t? As a clear test case, let’s consider Debian and a variant called Devuan. Debian is one of the oldest and largest Linux-based OSes. 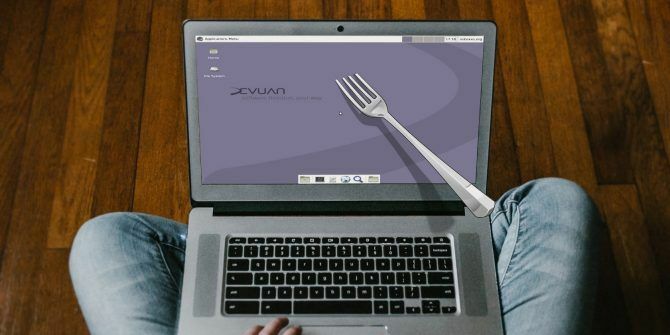 In 2014, a group called Veteran UNIX Admins started Devuan, a fork of Debian without systemd. Should you give it a shot? What’s an init System, Anyway? Init is short for initialization. 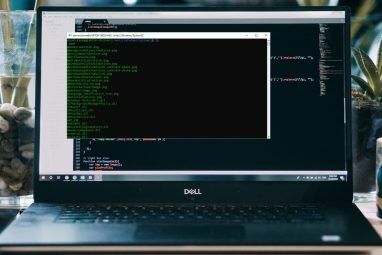 An init process is the first part of the operating system process to start as your Linux-powered computer boots up. It runs in the background for as long as your computer is on, and it continues until the computer shuts down. The init system manages other processes, so that your computer boots, runs, and shuts down smoothly. So while the init system may be largely invisible, it’s also essential. Systemd is more than an init system. It includes other software, such as networkd and logind, which manage other aspects of your computer. Systemd is a suite of software that serves as the bridge between applications and the underlying Linux kernel. It handles tasks as diverse as managing user logins to hotplugging devices. Traditionally, on Unix-based and Unix-like operating systems 3 UNIX-Like Operating Systems That Aren't Linux 3 UNIX-Like Operating Systems That Aren't Linux Recently, people started to confuse "UNIX" with "Linux." Linux was influenced by UNIX, but UNIX systems have no relation to Linux. Here are some important UNIX-based systems worth knowing about. Read More (Linux is the latter), developers design software to do one task and to do it well. There have always been exceptions, but with systemd, a core component has diverged from this way of doing things. As you may expect, there are reasons developers felt the need for a change. For starters, the older init system booted up in a linear fashion, loading various scripts in an order that makes sense. This makes it harder to boot a computer and manage core functions (such as connecting to a network) in the smooth manner expected on today’s machines. 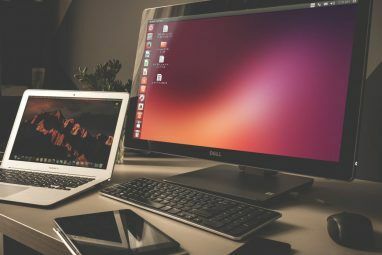 Combining many of these tasks into a single project enables Linux-based operating systems to provide a faster bootup experience. Debian 8 was the first version to adopt systemd. The Devuan project began at that time, but the first stable release didn’t land until 2017, alongside the release of Debian 9. Devuan uses the same APT package manager as Debian How to Use APT and Say Goodbye to APT-GET in Debian and Ubuntu How to Use APT and Say Goodbye to APT-GET in Debian and Ubuntu Linux is in a state of permanent evolution; major changes are sometimes easily missed. While some enhancements can be surprising, some simply make sense: check out these apt-get changes and see what you think. Read More , but it maintains its own package repositories. Those are the servers that store the software you download using APT. Devuan’s repositories contain the same software as Debian, only with patches that enable programs to run without systemd. This mainly refers to backend components such as policykit, which manages which users can access or modify certain parts of your PC. What Is It Like to Use Devuan? Just like with Debian, there are multiple ways to install Devuan. The “minimal” download provides you with the essential tools you need to get Devuan up and running on your machine. The “live” download provides you with a working desktop that you can test out before installing Devuan onto your computer. Devuan uses the Xfce desktop environment by default. This is a traditional computing environment akin to how PC interfaces looked several decades ago. Functionally, Xfce is still able to handle most tasks Xfce Explained: A Look at One of Linux's Speediest Desktops Xfce Explained: A Look at One of Linux's Speediest Desktops If you've recently switched to Linux and are finding things a bit slow going, you probably need a lighter desktop environment. One good option is Xfce. Read More people have come to expect from computers today. The live version of Devuan comes with plenty of software to cover general expectations. Mozilla Firefox is available for browsing the web. LibreOffice is there for opening and editing documents. GIMP can alter photos and other images. These apps all function as you would expect, with no concern for which init system you’re running. While Devuan mirrors Debian’s package repositories, the two are not interchangeable. Adding a repository intended for Debian runs the risk of wrecking your installation. You can edit your software sources via the terminal or inside the Synaptic Package Manager, which comes included. Devuan connects to Wi-Fi and Ethernet networks just fine. You can also expect it to recognize the flash drives and hard drives you plug in. There’s a decent chance you won’t even notice a difference. Systemd is only one way of doing things, not the only way. What init System Does Devuan Use? At the end of the day, this question gets to the core of what Devuan is all about. Devuan defaults to the sysvinit system, which is similar to the System V initialization process used in Unix. Sysvinit was the general standard many versions of Linux, including Debian, used before systemd. Devuan also offers numerous alternatives. You can download OpenRC, runit, and others to replace the provided init system. Do Other Linux-Based OSes Avoid systemd? Gentoo, the build-your-operating-system-from-scratch Linux distribution, defaults to OpenRC. It’s one of the oldest and most well-known versions of Linux to avoid systemd. Slackware, another ancient Linux-based OS, has opted to stick with sysvinit. PCLinuxOS is a younger option that has also chosen not to switch to systemd. There are also several Linux distributions that are based on Devuan. 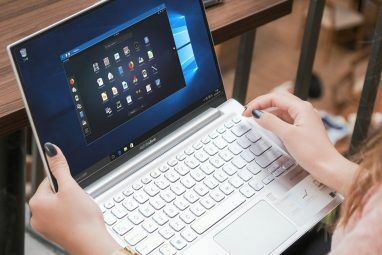 Though the number pales in comparison to Debian, which serves as a base for many prominent Linux-based OSes such as Ubuntu. Should You Switch to Devuan? Are you a sysadmin? Do you build your operating system from scratch or regularly interact with startup daemons and services? If so, are you more comfortable with the way you’ve traditionally managed your system? If your answer is yes, you may prefer Devuan. It’s more of a continuation of the way things were, than something altogether new. For the rest of us, this question is more of a philosophical question than a pragmatic one. Do you like the traditional Unix approach of doing one job and doing it well? Do you take issue with the idea of consolidating many tasks into a single project? If so, using Devuan is an expression of your belief in that ideal. Pragmatically speaking, use Devuan if you want Debian without systemd. If you want systemd, stick with Debian Debian: Enjoy One Of The Most Stable And Trusted Linux Distributions Debian: Enjoy One Of The Most Stable And Trusted Linux Distributions There are plenty of Linux users out there who are using distributions such as Ubuntu or one of the many distributions which are based from Ubuntu, including Linux Mint. However, no matter what you're using,... Read More . There isn’t much more to it than that. Explore more about: Debian, Linux, Xfce. I'm really surprised that nobody's mentioned MX Linux (based on Arch). The default install is without systemd, but you can select an option with systemd during startup. Another thing that I'm a little surprised about is the aged misconception about the XFCE (default for MX Linux) desktop. During the past 10+ years I've used Gnome, KDE, Mint's Cinnamon, LDE, XFCE and Ubuntu. Played around with others briefly. In all of that time, XFCE has always been the one that I returned to because it is IMO simply the best DE for quick & simple tweaking. You can change/adjust/tweak darn near anything in a matter of minutes and XFCE has indeed been updating consistently ... just maybe not as quickly as some people want. Just take a look at the official XFCE website (not Xubuntu). Some people talk about software being "not so good" for doing too much with not enough excellence behind the various limited ??? functions. Well, a perfect example against this is GIMP as a replacement for Adobe Photoshop, which as a professional Graphic Artist, I used for around 8 years. GIMP is actually what almost broke the camels back in my effort to switch to Linux full-time back in 2009. Full time means no more Windows, period. Not with a virtual box, and not with a dual-boot either. For the past 10 years I've used GIMP exclusively for everything that I used to use Adobe Photoshop for, but my, the learning curve was simply mind boggling. That's why some people complain about one program not being as good as another, and as far as GIMP is concerned, I just tell people that if they used GIMP for 10 Years almost daily in a professional setting, then got Adobe Photoshop dumped in their lap overnight ... they'd have exactly the same problems that I had when I made my switch. Systemd or no Sysemd ??? I haven't really noticed any performance, stability, or security issues by utilizing either. Problems with Linux are really quite rare and for desktop users (aside from printer installations ???) pretty much non-existent. Unless you do something to bork your own setup, regardless if server or not (yeah, I've been running a server since 1992 as well), Linux is pretty much rock solid with and without systemd. It's really more a matter of preference than anything else because in all of the many many articles that I've read by haters of systemd, I have yet to stumble across one where specific detrimental systemd problems are actually pointed out and explained. I think first and foremost Linux distro developers do their best to provide the best that the can provide and I also believe that this is true for distros with either (or both) systemd, sysvinit, and so on. I used to be a systemd hater. I've used Unix and Linux, including building my own from source, since the 70's, and didn't like the philosophical shift. But in the end, life is just easier with systemd. And that is what computers are for: making life easier. If yours is a hobby, or you research OS technology, and you enjoy messing with the bits, by all means use a sysvinit OS - it's far easier to mess with, but for real life, go where the mainstream goes. Devuan should be avoided by most people, unless they're advanced users. The packages are very old by today's standards, which means hardware support is extremely limited. There are also some manual things newer users may be frustrated by. Debian stable is already bad enough with the packages being old, and Devuan is much worse. IMHO, I think Devuan should be avoided. I don't get what all the commotion is about, systemd works well on all my desktops and servers, even the raspberry Pi boots faster with it. Debian and all others did well to make it a standard. Besides that, it is refreshing to actually have a startup sys and service manager, instead of a bunch of nonstandard bash scripts, which made troubleshooting difficult. systemctl status apache now shows a neat and structured status report with the last lines of the log, very useful. Using cat to browse log files was fine as a provisory measure, but otherwise ridiculous on a modern system like Linux. Many of my students in admin 101 class were baffled that Linux does not have a dedicated log command and they were right. Gladly, they don't have to say that anymore. Now Linux is not Unix anymore, Unix died because it became irrelevant with a refusal to improve and become more useful, user friendly and powerful. Commands being crippled and just being able to do one thing only was a Unix Philosophy that made it obsolete technology, Linux never adhered to it. That is why htop beats top, which cannot do anything really. Unix at this point gets admired falsely, as all achievements in the nix space is thanks to Linux, nothing else. Linux is great because it is Linux based, not Unix. Move with the times my friends, or progress will leave you at the wayside of tech history, where you might belong. Linux was never afraid to abolish and replace old systems that did not serve anymore, so that is why we now have a universal and working sound system with pulseaudio. Before we had a gigantic mess of 5 competing sound systems that never worked properly. You may have noticed that the silent masses are using and appreciating systemd just fine, I'm among them. You might do well to project your hate and loathing on other opinion based subject, and not a technology, it smacks if irrationality, even insanity to still foam at the mouth and hate on something like systemd that works really well and at this time is, and has been for a long time, been a non issue.
" even the raspberry Pi boots faster with it"
Why the fascination with boot times? How much time do you save? If you are using Linux, then you don't boot very often and therefore time savings is minuscule. It's like saying that your car goes from 0 to 60 in 2.8 sreconds. How often do you run your car at the drag strip? "just being able to do one thing only was a Unix Philosophy that made it obsolete technology"
End-users may be enraptured with the all-in-one multi-functional applications, thinking that they represent the "modern way" of doing things. However, true multi-function apps (such as systemd is trying to be) are, at best, a kludge and at worst, an abortion. As is the case for all multipurpose tools, they are a compromise, able to perform many tasks adequately but not being particularly good at any of them. A Swiss Army Knife or a Leatherman Tool may perform many little tasks but don't try to do any real work with them. For that you need dedicated tools specifically designed for the task. As far as programmers are concerned, multi-function apps are hard to write, hard to debug and hard to maintain. There are too many interrelated, moving parts. Making changes to the code becomes a game of Wack-a-Mole. A change in one part of the code can cause problems with other parts of the code. Fixing those problems can cause unexpected problems in many other areas. "the silent masses are using and appreciating systemd just fine"
They are using but are they really appreciating? When most of the distros depend on systemd to run, it is difficult not to "appreciate" it. Between the release of MS-DOS and the release of the first GNU/Linux version, the silent masses "were using and appreciating MS operating systems just fine". Of course, MS O/Ss were all that was available at the time so the silent masses had very little choice of what to appreciate. As Mr. Bill might have said to paraphrase Henry Ford "They can use ANY operating system they want, as long it is from MS". 1. There is no need to switch to Devuan to have systemd free experiences. You can simply replace systemd with any other unit system in the official debian repo with a single command, simple apt pinning and a reboot. Systemd is the default, not the only option. 2. Systemd haters never seem to know or acknowledge that systemd is also modular and if all you want is an init system for that 21st century boot and logging experience, they can. 3. Systemd haters also spend all their time echoing all the same objections, but never seem to find the time to help fix the root cause. 4. 95% of linux users have no clue what an init system is, what it does, nor cares. The remaining 5% either accept systemd or complain about, again without offering any fixes, a system that they seem competent enough to complain about but again not interested in fixing. 5. Devuan, last I checked used linux 3.x, which is old even by Debian standards. Xfce4 hasn't been updated is so long that many think it was abandoned. 6. There is always some one in the comments that simply must state that with linux uptime, boot up time is a non-issue. Which is true enough for servers, but most linux users are desktop users; many of which shut their PC down when they aren't using them Granted, many power users dont powerdown, but the vast majority of pc users are not power users so boot time is indeed relevant to most. 1. i've run debian 9 with sysvinit on servers, desktops and laptops. it's mostly systemd-free but still has dependencies for udev and logind. devuan decouples that with eudev and elogind (thank you gentoo devs). 3 & 4. why should systemd haters attempt to fix a piece of software that they don't want or need to use? as you've pointed out, there are alternatives to systemd. i don't like gnome, pulseaudio or avahi so i choose not to use them. 5. devuan ascii currently boots 4.9.110. i can't speak on xfce but blackbox and fluxbox still work great. 6. sysvinit boot times have never been an issue for me but i don't run many daemons on my desktops/laptops. i agree with Dragonmouth that Poettering and Sievers aren't respectful of many ideals that made linux what it is today so i don't use any of their software. they also seem like d***heads in general but we have choices. if u want an init system that handles your network stack, mountpoints, device management, logging, tmpfiles... then use systemd and be happy. just be sure to check cve from time to time for new vulnerabilities. A. If "haters" don't use it, why should they complain other than to make noise? B. If "haters" do use it and only complain without trying to fix, they still are just making noise. C. If "haters" banded together and instead of complained, spent their time fixing, patching, and creating a better system, then they are being productive. Systemd is open source, as such it can be forked and Poettering, inc. need not be involved. You likely don't complain about them either. 5. Then they updated it since I last looked at it a few months ago. Overall, my point is that complaining has never solved anything and if you want to be rid of systemd, then help develop a better system. Reality says that it's here to stay, that is until it's replaced with something better. Technology doesn't step backwards just because a small percentage of users dislike the current direction. agreed, complaining without proposing solutions isn't productive in any argument. but i don't feel any desire to fork systemd while sysvinit still serves my needs just fine. the never-ending systemd debate seems to have exposed a rift between server admins and desktop users. i've been both for 15+ years so it's been a frustrating yet amusing init journey. for me, the beauty of linux vs closed source operating systems has always been flexibility and security. the near-global adoption of systemd had me very worried for a while but we still have options as linux users. choose your camp and enjoy. big thanks to the devuan crew for providing another great option for init freedom. The "haters" are complaining loudly, because they don't like systemd, feel that init, openrc, or some other init system worked just fine. Yet, systemd has being picked as the default init system on Linux distributions (and in some cases the only init system) and certain pieces of software have been (re-)written to work with systemd in a way which makes them not work without systemd. I'd have to verify, but Gnome immediately springs to mind. Systemd is bunch of crap. Its making Linux Winfail like, and suffer with this same issues. In one word its disaster. No no no, please stop with these assertions, which reveals you don't know what you are talking about. If you just change systemd in Debian to another init, you will end up with a system were you can't install half of packages, because they have hard dependencies to systemd. The hard work of distributions like devuan is also to modifies packages dependencies to remove systemd, like policykit as explained in this article. Yes, its not possible simply drop systemd. You are right, it requires a lot of developers work. You can also include Voidlinux and Alpine in your list of younger distros that have chosen to eschew system. It is obvious that systemd does not follow the *nix philosophy of doing just one job. I noticed that at no point in the article did you state whether whatever it does, it does well. From what I have been reading, systemd is a kludge of modules stuck together with chewing gum. Also, from I have been reading, systemd is a voracious and insatiable creature that keeps on devouring more and more functions. Some people say that if things keep going the way they are, nol packages within a distro will run without systemd. All writers of articles on systemd say that it boots PCs faster but they never give any concrete numbers. It is always a vague "faster". Considering that Linux computers stay up for days, weeks, months or even longer, the "faster" boot times are a non-issue. They are only an issue for Windows users who have to re-boot every time they sneeze. "Do you take issue with the idea of consolidating many tasks into a single project?" I definitely do. I switched from Windows to Linux because Linux was modular and I could run only the services and applications I wanted/needed. Over the years that modularity has been slowly eliminated. Linux has been slowly Window-ized. Now, on most distros, systemd threatens to put the final nail in the coffin of modularity. If and when systemd becomes the init system in all Linux distros, I will have to switch O/Ss again and learn BSD. You said it well, this is why systemd is a virus. And what have you done to fix the issues? Let's not forget that systemd is open source and so you can help fix it. In danger of sounding rude, I'd imagine you aren't interested in it being fixed, youd rather just complain about it. Which is far easier. "systemd is open source and so you can help fix it." Lennart Poettering and Kay Sievers, the developers and major movers behind systemd, think that their all-devouring creation is the Greatest Thing Since Sliced Bread and are not interested in "fixing it". Many Linux leaders, such as Linus Torvalds and Richard Stallings, have tried to reign in systemd. Unfortunately, Poettering and Sievers dismiss any criticism and suggestions as sour grapes and attempts to take over "their" project. They have as strong a stranglehold on the development of systemd as Bill Gates had on the early development of MS-DOS and Windows. "In danger of sounding rude"
Not "in danger". You are rude. You sound like those that used to shout "love it or leave it!" back in the 1970s.
" I'd imagine you aren't interested in it being fixed"
You imagine right, I am not interested in "it" being fixed. It is too late for that. I am interested in systemd being s**tcanned. "Lennart Poettering and Kay Sievers, the developers and major movers behind systemd, think that their all-devouring creation is the Greatest Thing Since Sliced Bread and are not interested in "fixing it"." There are more people involved than just Misters Poettering and Sievers. RedHat funds the development of SystemD because they want an up-to-date modular init. "Many Linux leaders, such as Linus Torvalds and Richard Stallings, have tried to reign in systemd. Unfortunately, Poettering and Sievers dismiss any criticism and suggestions as sour grapes and attempts to take over "their" project. They have as strong a stranglehold on the development of systemd as Bill Gates had on the early development of MS-DOS and Windows." First, Richard Stallman (not Stallings) has nothing to do with the day to day work on the Linux kernel. He is a public spokesman for the GNU Project. Second, Linus Torvalds, who IS involved with the Linux kernel has suspended Kay Sievers access to add to the current kernel when he deemed it appropriate. Third, under the GPL, anyone can fork SystemD and replace it. Some have. Poettering and Sievers do not have the "stranglehold" you describe. If you don't like SystemD, might I suggest that *if* you are using one of the distributions like Debian, that you try the SystemD shim? It catches SystemD calls and provides compatibility. Not if that useless waster of good air Potering doesn't allow it to be "fixed". He refuses to listen to anyone but himself. He's a genius and a legend in his own mind. Systemd is an abortion that somehow escaped the trashcan. It is the Borg and *will* blow up in peoples' faces eventually because it wants to do it all. People like you who *try* to defend it will be the first to scream at those who don't use it demanding that they help you get it "fixed" after it's bitten you on the backside. Good luck getting friends to do it when you're so snarky. I have fixed "the issues" by continuing to use sysvinit, which exhibits none of systemd's problems. When was the last time sysvinit caused shutdown to hang? When was the last time a CVE was filed against sysvinit? How often does sysvinit mount a filesystem before the RAID controller was configured? Sysvinit isn't broken. Systemd is. Enough said. "I have fixed "the issues" by continuing to use sysvinit, which exhibits none of systemd's problems." I respectfully disagree. I've used UNIX (not just Linux) systems for over 25 years. I've seen plenty of System V scripts with problems similar to what has been caused by SystemD; including complete lockups. 1. System startup is not part of the POSIX standard. 2. Not every UNIX uses the System V setup. 3. Even when your UNIX does, it is *only* as good as the quality of the init scripts provided. "Sysvinit isn't broken. Systemd is." Neither is broken. May I be blunt? What is broken is the objectivity of fans, who rather than come up with a cogent solution to said problems, would rather treat others with disdain. Systemd is only for commercialize Linux. Its like svchost.exe - massacre. Its for 1/2 brain admins able only to click buttons. Unnecessary layer responsible for everything. In any problem nobody knows whats going on. Funny, I'm currently using Devuan and I'm starting to learn BSD, started with RedHat 6.